Former Formula 1 driver Ivan Capelli and Supercars co-driver Dean Canto will head up Trofeo Motorsport’s Liqui-Moly Bathurst 12 Hour tilt next year. 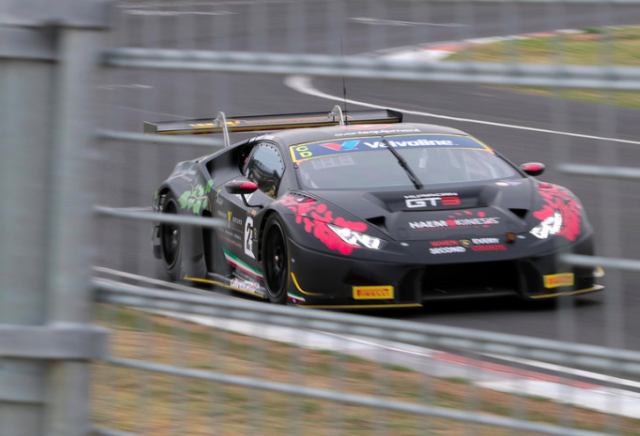 The Melbourne squad has confirmed plans to enter its Lamborghini Huracan GT3 for the February 2-4 endurance race with an unchanged driver line-up from last year. Ex-Ferrari F1 driver Capelli and Prodrive pilot Canto will be joined by experienced Australian GT driver Ryan Millier and car owner Jim Manolios. Last year the car finished third in the Amateur GT3 class and 10th outright. The car attended last weekend’s Challenge Bathurst unofficial 12 Hour test, where it clocked the fastest time with Canto behind the wheel. “We learned a lot last year from the event and came third, top-10, so we’re trying for that number one spot,” said Manolios. “We will run the same driver line up – we’re on to a good thing so we’re sticking to it. “In the last 12 months we’ve had a lot more development and a lot more understanding of the car and how it works. “These latest version of GT3 cars are really race cars; you can feel one click in a shock, a slight adjustment. It takes quite a lot of time to get it going. “We haven’t been able to use the data from Europe because the cars are slightly different. They run a different air restrictor and a slightly wider front tyre, which we won’t have until next year. The squad has confirmed it is working on plans to field a second Huracan at the event. “We’re working on a second car with Squadra Corse’ (Lamborghini’s Customer Racing division),” Manolios added.